I haven’t done a book update in a month, mostly because I haven’t done a thing on either book. I’ve been out of town with my children, exploring the northeastern part of the country. I was able to spend some time with my dad in New York, and then I traveled to New England to catch up with some old friends and see lots of historical venues. All in all, we were gone exactly three weeks. I spent last week catching up on everything else, including my ProGen homework for the month. I wrote an 18 page evidence analysis report for my Revolutionary War ancestor Nathaniel Hobart. Yesterday, I was finally able to sit down and start working on one of the books. While I was out of town, some documents that I had ordered for my research on the David Jegerlehner descendant book arrived: the death certificate for George Yegerlehner and a stack of obituaries from the Allen County Public library. It appears that George died in Oak Park, Illinois while visiting (or living with) his daughter Hazel. Wilbur O. Igelman, Hazel’s husband, was the informant on the death certificate. The Igelmans were enumerated in Oak Park in 1940, and they were apparently still living there in 1949. So mystery solved as to why George died in Oak Park! 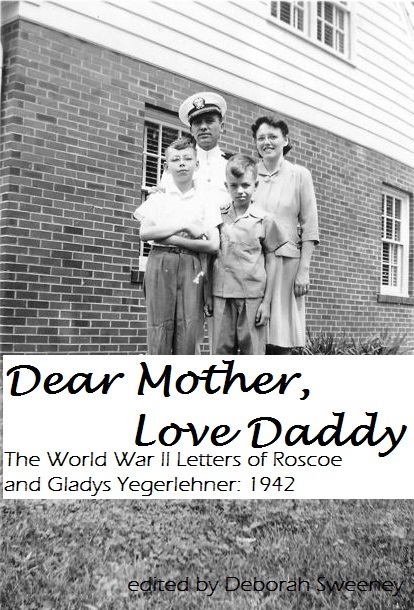 The first volume of Roscoe and Gladys’ letters now exceeds 200 pages. I am working on assembling Chapter 7, the letters from November 1942. Chapter 8 will contain December’s letters. Then the hard work of writing short biographies of select individuals shall begin. I began looking at some blog articles about type font last night. Since I am planning on self-publishing the letters, there is a lot to consider. I have been using Calibri font while assembling the letters, but most books use a serif font (vs. a sans serif font). This WordPress blog uses a sans serif font. The publishing industry has been debating font merits for readability and legibility for a very long time. Personally, I think it just depends on what your personal aesthetic is. Two of the standard recommended choices for self-publishing are Garamond and Palatino. Below are samples of these two types plus the Calibri I use for general word processing. What do you think works best? 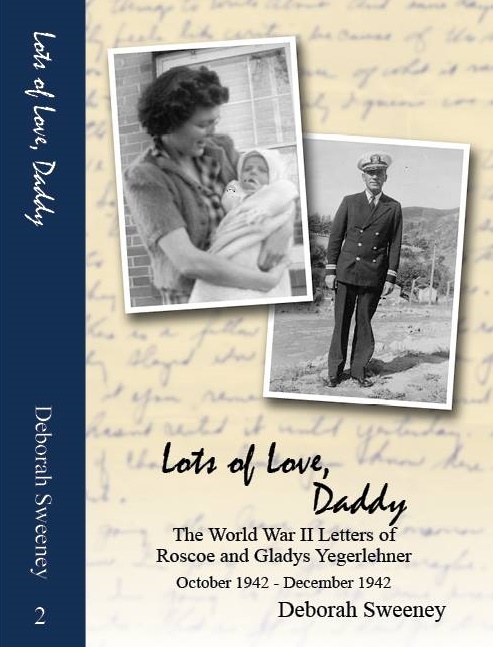 This entry was posted in Yegerlehner and tagged books, David Jegerlehner, Gladys R. (Foster) Yegerlehner, Hazel (Yagerline) Igelman, Personal writing, Roscoe S. Yegerlehner, Wilbur O. Igelman on July 27, 2014 by Deborah Sweeney. I know I haven’t written about my book progress for the last two weeks. Two major events precluded my writing a post about my progress. 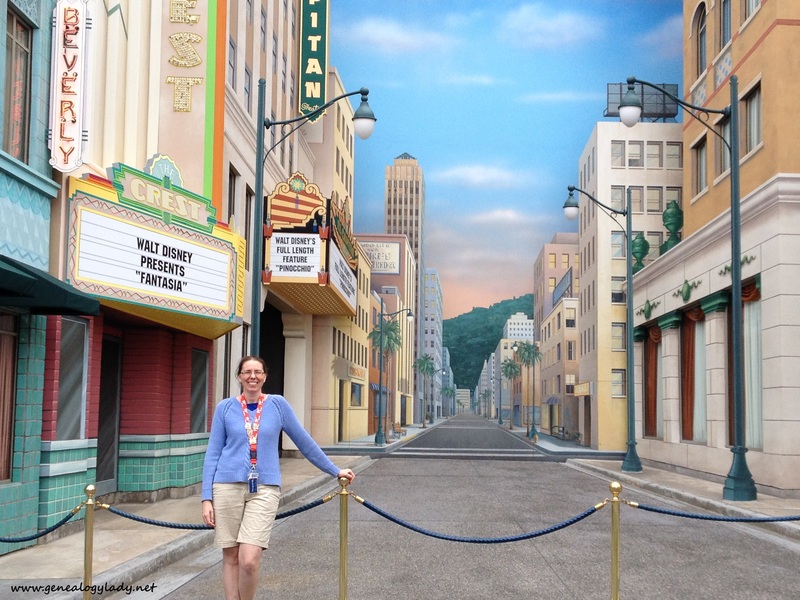 During the first week, I was chaperoning my Girl Scout troop to Disneyland. The girls had saved their cookie money from several seasons, and were able to make the trip with minimal expense from the families. So even though you might think twice about buying cookies, they really do mean a lot for the girls. We were gone five days (2 for driving, 3 in the parks). The girls enjoyed two Youth Education programs – one on Animation and another on Leadership. Our presenters were both excellent educators. If you ever get the chance to participate in the Youth Education programs, it is worth it (plus you get to go in the Fast Track line for several rides while taking the class). The second major event occurred this week, and was less fun than the previous week’s distraction – the DDoS attack of Ancestry and many of its subsidiary companies. After spending last weekend recovering from the excesses of Disneyland, I sat down ready to work on Monday morning but was unable to access my data file or any records. I worked on a couple other small projects but was feeling dejected. My father had recently shared one of my WWII letter blog posts on his Facebook page. One of his friends was excited about the future possibility of turning the letters into a book. This has been one of my long term goals, and I had already started cutting and pasting the letter transcriptions together. So instead of working on the David Jegerlehner book, I found myself working most of this week on preparing the letters for book publication. Perhaps they might even be ready this fall or early next year. The first volume will only contain the letters from 1942. There are over 300 letters from that year alone. With the annotations and short biographies I plan to write about some of the individuals in the letters, I think this will make a good sized book (200-300 pages). Three more volumes will likely follow. There are over 600 letters for 1943, so this year will be split in half. The remaining letters from 1944-1945 will be the last volume. 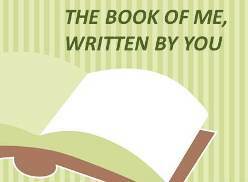 I already have a table of contents and a cover designed for this book. Currently I have organized 70 pages of letters (May-August) with the remaining months of the year still to go (September-December). Over the last two days, I have written first drafts of an Introduction and the first chapter explaining who Roscoe and Gladys were. As for the Descendants of David Jegerlehner book, I received three awesome envelopes in the mail this week: two from the National Archives and one from the Indiana Department of Health. From the National Archives, I received the Civil War Pension files for David’s son John Yagerlehner and his son-in-law Thomas H. McCormick. The Indiana Department of Health envelope contained the death certificate for Rosina (Yegerlehner) Wolfe, one of my great grandfather’s sisters. They were unable to find a death record for Rosina’s brother Charles who supposedly died in Indianapolis in 1922. The book progress updates will be going on hiatus for the next month. I have numerous other commitments that will take me away from my computer and my research, including a little vacation time. Because although Disneyland was fun, it wasn’t truly a vacation while chaperoning eleven 13-15 old teenage girls. That’s hard work! This entry was posted in Genealogy, World War II, World War II Letters, Yegerlehner and tagged books, Charles Yegerlehner, David Jegerlehner, Gladys R. (Foster) Yegerlehner, John Yagerlehner, Personal writing, Roscoe S. Yegerlehner, Rosina E. (Yegerlehner) Wolfe, Thomas H. McCormick on June 21, 2014 by Deborah Sweeney. 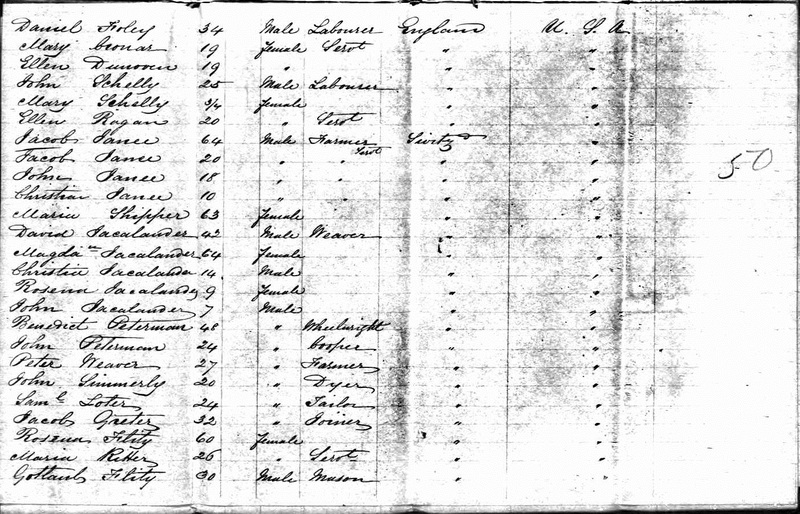 About halfway down the above ship manifest from the Northumberland which sailed from London to New York is the name David Jacalander. He sailed to America with his wife and three children: Madga, Christian, Rosena, and John. The ship arrived in New York on 26 April 1851. David and his family were natives of Switzerland. He was a weaver by trade. The rest of the page is filled with the names of Swiss immigrants of various trades: wheelwright, cooper, dyer, tailor, joiner, and mason. Perhaps the group was traveling together to the new world, to begin a new community. The reason for the emigration of the Jacalander family is unknown. A family legend speaks of the fear of impressment into the Prussian army. While Jacalander is not a Swiss surname, Jegerlehner is. The Swiss are very protective of their heritage. Even today surnames are registered and can be located on the official Registry. Since the family departed Europe from London, likely the lowly English clerk did not understand the thick German Swiss accent when he recorded the family on the manifest. 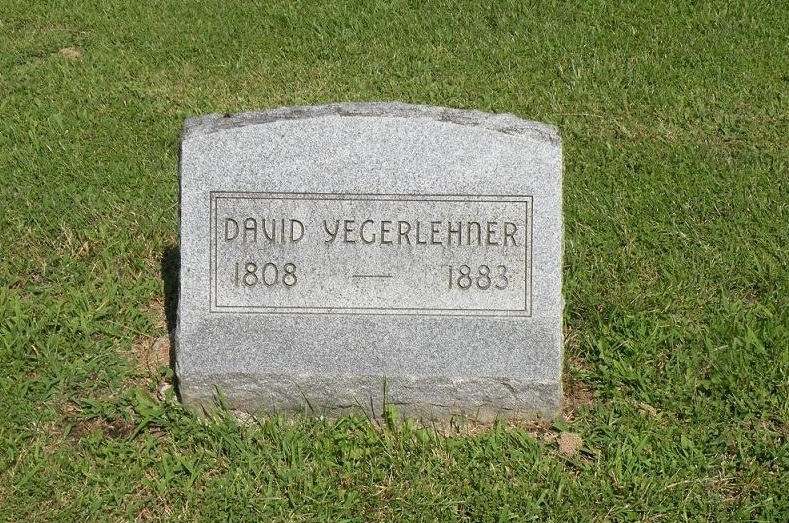 In America, David Jacalander became David Yegerlehner, the ancestor of all who share the name. This entry was posted in Travel Tuesday, Yegerlehner and tagged Christian Yegerlehner, David Jegerlehner, John Yegerlehner, Magdalina (Strahm) Jegerlehner, Northumberland, Rosina (Yegerlehner) McCormick, Switzerland on November 26, 2013 by Deborah Sweeney. 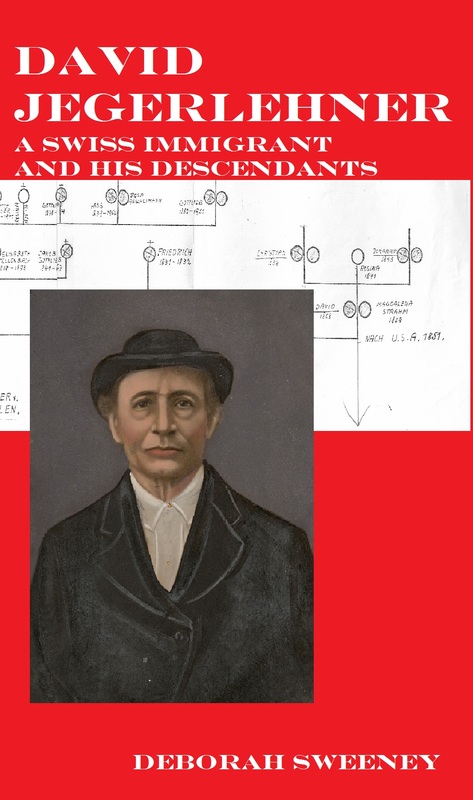 David Yegerlehner (originally Jegerlehner) was the immigrant ancestor of Roscoe’s family in America. David arrived with his wife, Magdalena, and three children, Christian, John and Rosina, in 1851. They were natives of Bern, Switzerland. While each of the three children settled in different areas of Indiana, David stayed with his eldest son Christian. When Christian bought land in Clay County, Indiana, David set up his carpet weaving shop across the road from the farm house. David’s grandchildren erected this modern stone at the cemetery in his honor. 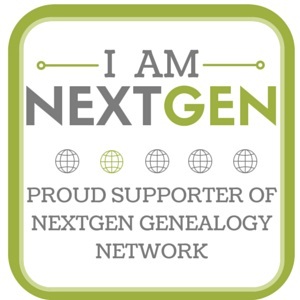 This entry was posted in Genealogy, Tombstone Tuesday and tagged Christian Yegerlehner, David Jegerlehner, genealogy, Johannes (John) Yagerlehner, Magdalina (Strahm) Jegerlehner, Rosina (Yegerlehner) McCormick on November 5, 2013 by Deborah Sweeney. This entry was posted in Foster, Genealogy, Sunday's Obituary, World War II, World War II Letters, Yegerlehner and tagged Christian Yegerlehner, Clara (Steiner) Yegerlehner, Clarence E. Yegerlehner, David Jegerlehner, Dorothy Krull, Gladys R. (Foster) Yegerlehner, James L. Foster, John Henry Yegerlehner, Kenneth Yegerlehner, Lovina (Schiele) Yegerlehner, Magdalina (Strahm) Jegerlehner, Mrs. Nannie Evans, Roscoe S. Yegerlehner, Ruth E. (Yegerlehner) Mutchler on December 30, 2012 by Deborah Sweeney.